Born in1956 in the U.S.S.R. Member of The Israel Association of Painters and Sculptors. He was a student of Art when he initiated the “Students-for-Free-Art” workshop, with a western affinity for truth and critic art expression, in spite of his young age (he was the youngest student). 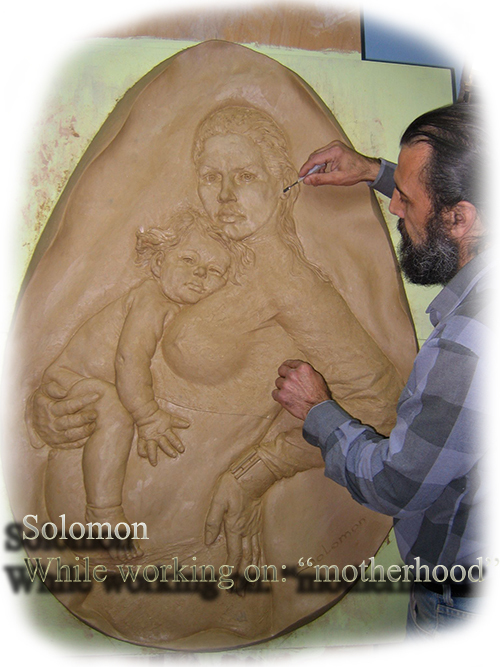 Solomon pursued further study in painting and sculpture with Mr. Boborikin and in plastic anatomy with Mrs. Frolkida. His works of art can be found in many collections in Israel, U.S.A, Germany, (Wilmersdorf Museum Berlin ) and private collections in France, Switzerland, Italy, Singapore and more. 1995 – Gallery “Bernard” Tel-Aviv. 1997 – Placed a “Hippo” statue in Carmiel. 1999 – Placed “The Man & the Book” statue in Carmiel. 1999 – Placed a Memorial monument in a major synagogue in Tel Aviv (7m high). “G.O art & gold” gallery in Haifa, Carmiel city hall, “Castra” gallery in Haifa and more. 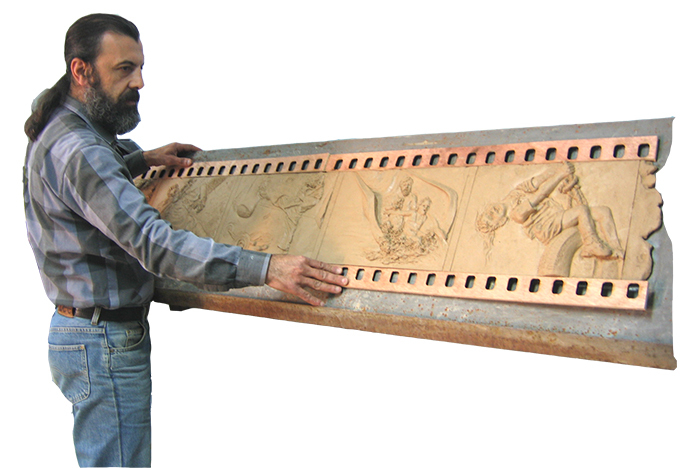 2004 – International sculpture symposium in Maalot, Israel. 2007 – Placed a Memorial monument in Carmiel city (5 meters high). 2010 – International exibition in The Jaffa Museum of Antiques. 2010 – “Migdal Gallery” Tel-Aviv. A permanent exhibition in “Akershtein towers”- Herzeliya city. 2015 – New York. U.S.A.